The "Start Menu" of a Linux Desktop usually comes with a predefined set of categories that make up the sub menus. If you have a lot of custom applications then you might want to group them under a dedicated sub menu instead of having them spread out over all the menu categories. 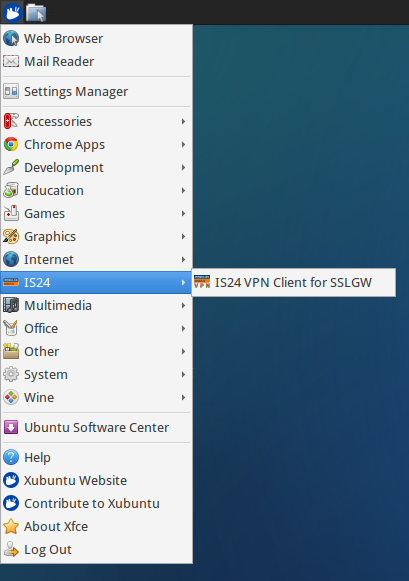 Adding sub menus and new categories on Linux Desktops is defined in the Desktop Menu Specification in Appendix C. It turns out that it is really simple and the following example from ImmobilienScout24 can serve as a base for your own custom menu. The important part here is the Categories entry which specifies a generic category (Network) and a new custom category (X-IS24). The Desktop Menu Specification states that custom categories must start with X-. The Desktop file usually goes to /usr/share/applications. In this case we also exclude the X-IS24 category from the Network category so that our menu entries will not show up in several sub menus. KDE, Gnome Classic, XFCE and other desktops with a regular menu all follow the same standards and show the new sub menu. Unity and Gnome 3 seem to have a fixed set of build-in categories and don't show the new sub menu as a new category.